La Paz is a city that isn’t on every traveler’s radar, but it should be. 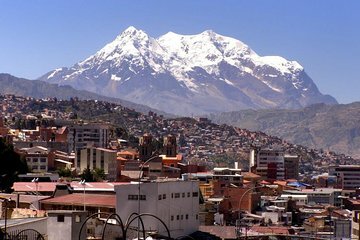 It’s an amazing city, set among the Andes Mountains and is the highest capital in the world. 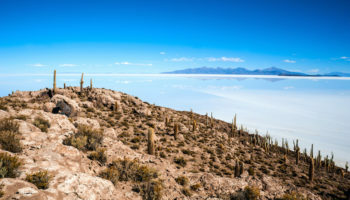 As Bolivia’s largest city there is a wealth of things to do in La Paz: great museums, stunning views of the mountains and the opportunity to get around by cable car rather than a boring public bus. Warm clothes are a must, almost any time of year, and do take time to get used to the high altitude before doing serious touring. Chacaltaya Ski Resort was Bolivia’s only ski resort. Unfortunately, the 18,000-year-old glacier it sat on no longer exists. Little remains today of what was once the world’s highest ski resort because the glacier melted, a victim of global warming. There’s been no skiing here since 2005. 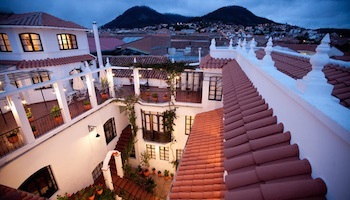 But the resort had a glorious past, once that included the first funicular in South America to carry skiers to the top. 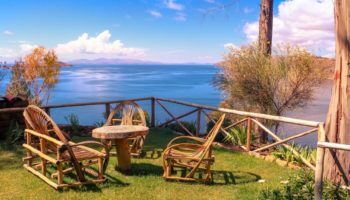 Chacaltaya however does offer spectacular views of La Paz, Illimani and Huayna Potosí and a ’50s-style stone ski lodge still remains on the mountain. It’s a high-altitude, relatively easy 100-meter (330-foot) or so climb from the lodge to the summit of Chacaltaya. 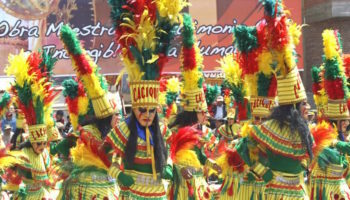 Surrounded by government buildings, including the Presidential Palace, and a cathedral, Plaza Murillo is the central square in La Paz. From the 16th century on, the square, located in what is now the old town, was called the Plaza Mayor, but its name was changed in 1902 to honor Pedro Murillo, a Bolivian leader who was hung by the Spanish in the 1810 independence revolt. The square is filled with pigeons, people feeding them and people resting on benches when the city’s high altitude overcomes them. 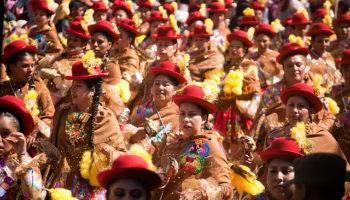 The plaza is also a place where many city celebrations take place. Visitors may want to take an amulet to ward off evil spirits when they go to the Witches Market or Mercado de las Brujas. This isn’t the normal market, unless, of course, one wants to buy dried frogs or llama fetuses, which are the market’s specialty. Llama fetuses are buried in new building and businesses as an offering to the goddess Pachamama.. Herb and folk remedies also are available as are products used to manipulate spirits that exist in the native world. Experienced hikers and mountain climbers may want to give Huayna Potosi a try, but only if they’re fully acclimatized to high altitudes. 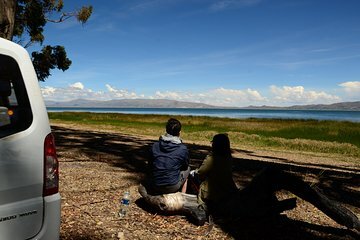 Located about 24 km (15 miles) from La Paz, this is the most popular spot for hiking in the area. The trek over glaciers is not recommended for beginners, though some have done it. The hike takes two to three days, the first of which is spent practicing for the climb ahead. Mt. Potosi is 6,000 meters (nearly 20,000 feet) high; hikers leave about 3 a.m. to start the climb to the summit on the final day. The Basilica of San Francisco predates the founding of La Paz by a year. Construction on the church, dedicated to St. Francisco of Assisi, started in 1548. In 1610, heavy snows caused it to collapse; more than 170 years would pass before it was rebuilt. The church is a blend of cultures: Bolivian native and Catholic art. Its Baroque exterior is decorated with native symbols, including birds, snakes and dragons. The interior has gold-leaf decorated small cedar chapels. 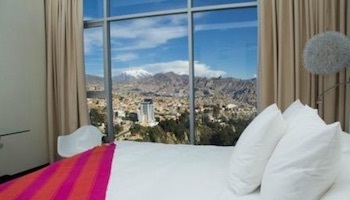 Great views of La Paz can be seen from the rooftop. Calle Jaen, near the Plaza Murillo, is a cobblestone street that is considered the finest colonial street in La Paz. The narrow street is lined with brightly colored houses built in the 16th century. Boutiques, cafes and entertainment spots also make up the street’s complexion. 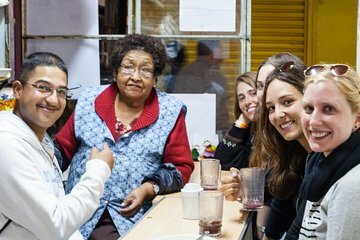 Named after the Bolivian revolutionist Apolinar Jaen, Calle Jaen also is home to some of the most important museums in La Paz. They include the Museum do Pre Metales Precioso; the Museo del Libral Boliviano, which commemorates a battle Bolivia lost against Chile, and Museo Costumbrista Juan de Vargas, which contains colorful artifacts from La Paz’s history. Only a handful of people will ever travel to the moon, but those who want to see what it’s like can visit Valle de la Luna (Moon Valley) just a few miles outside of La Paz. Not really a valley, but an amazing collection of canyons and spires that are reminiscent of the moon’s landscape. The clay and sandstone terrain was formed by erosion over the millennia. Because of mineral content, the rock formations present a colorful scene, ranging from beige to dark purple. This moon valley does have something the real moon doesn’t have: cactus. Dubbed the “World’s Most Dangerous Road” Yungas Road runs from La Paz to Bolivia’s Amazon rainforest region in the north of the country. From La Paz, the road climbs around 4,500 meters (15,000 feet) before descending around 1,200 meters (4,000 feet) to the town of Coroico. 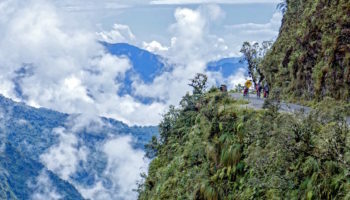 The road has proved dangerous for those traveling in vehicles, but Yungas has become a favorite thing to do in La Paz for mountain bikers who rave about the 65-km (40-mile) long stretch of downhill riding from La Cumbre back to the city. 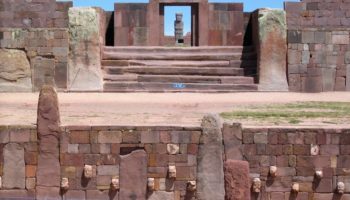 Located 72 km (44 miles) west of La Paz, near the south-eastern shore of Lake Titicaca, Tiwanaku is one of the most important precursors to the Inca Empire. The community grew to urban proportions between the 7th and 9th centuries, becoming an important regional power in the southern Andes. At its peak the city had between 15,000–30,000 inhabitants. While only a small part has been excavated, Tiwanaku represents the greatest megalithic architectural achievement of pre-Inca South America. Travelers looking for a different way to get around La Paz may want to consider Mi Teleferico or My Cable Car. It’s a great way to get bird’s eye views of the city while moving around. The state-of-the-art cable car system opened in 2014 with three lines serving 10 stations; additional lines are planned. When it opened, it was the longest aerial cable car system in the world at 10 km (6.2 miles). The Red and Yellow lines connect La Paz with nearby El Alto, a city that is time-consuming to reach by car because of ground traffic.